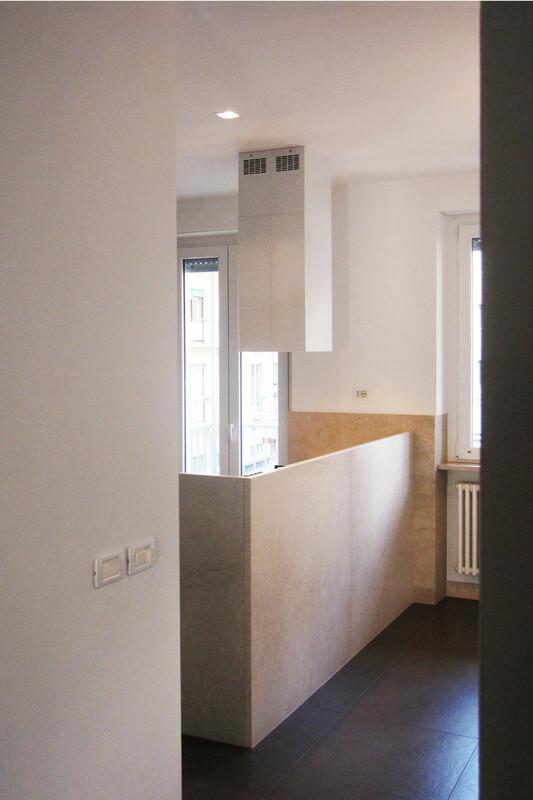 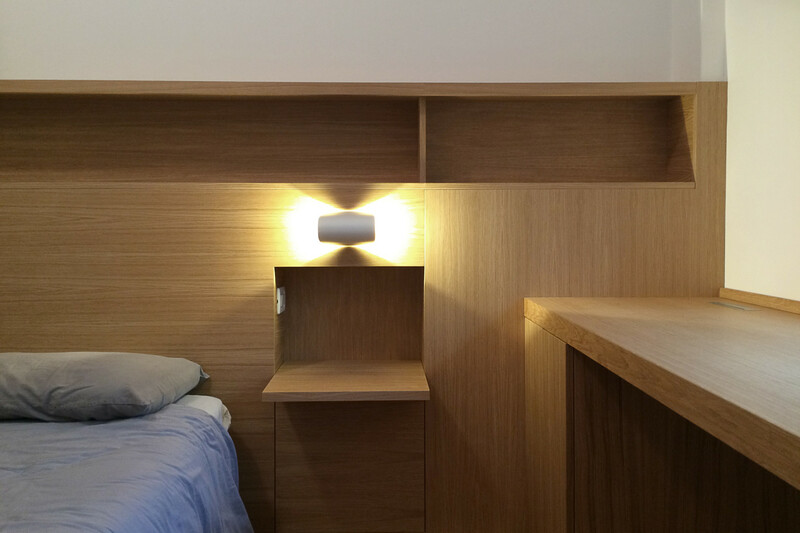 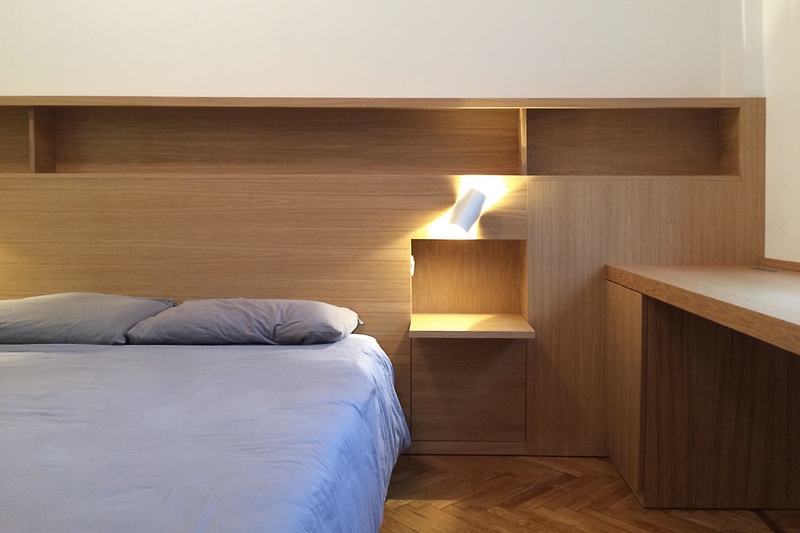 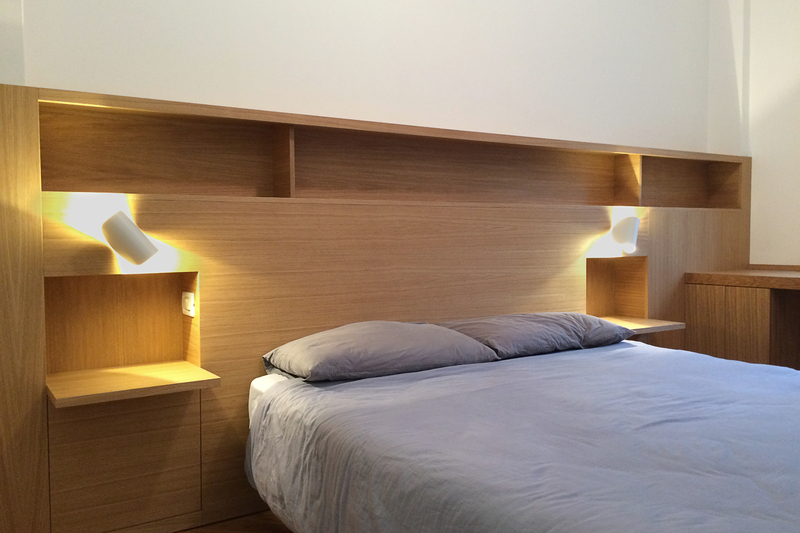 This apartment is located in the financial district of the town of Biella. 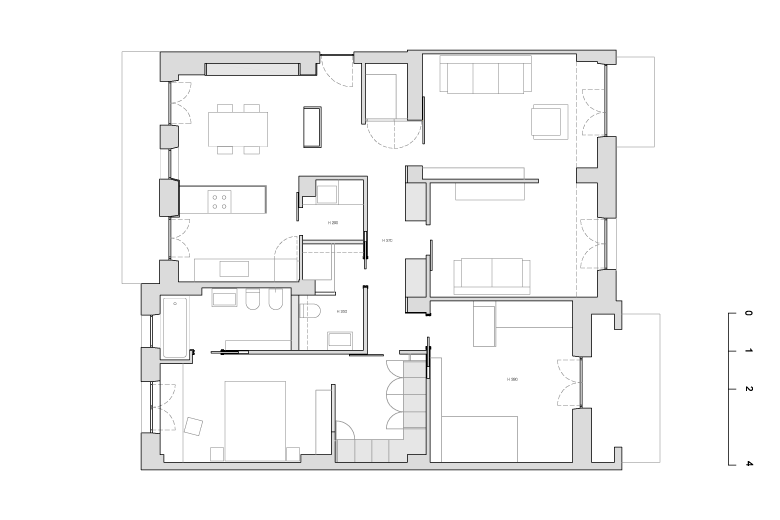 The request of a young couple with two children, was to have at least two bedrooms, a living room and amenities. 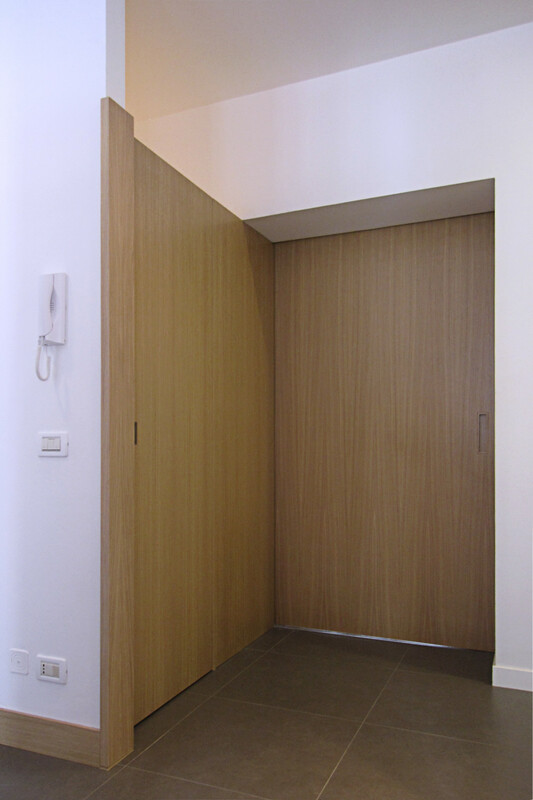 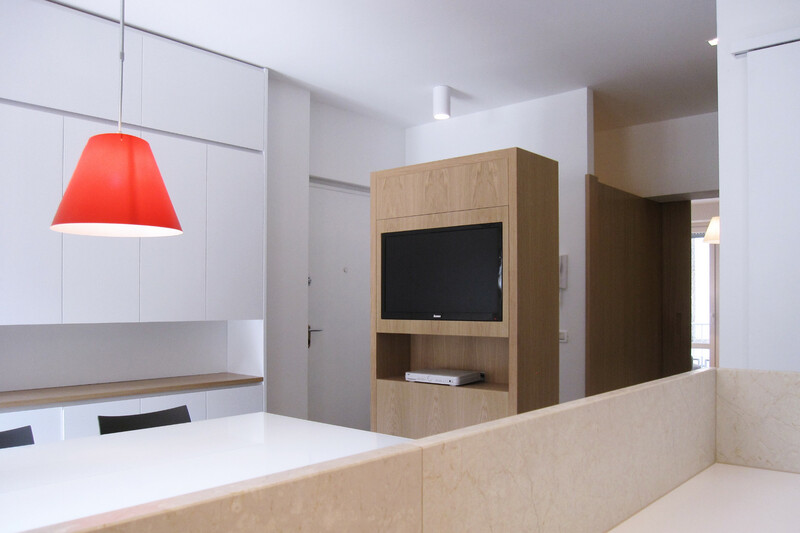 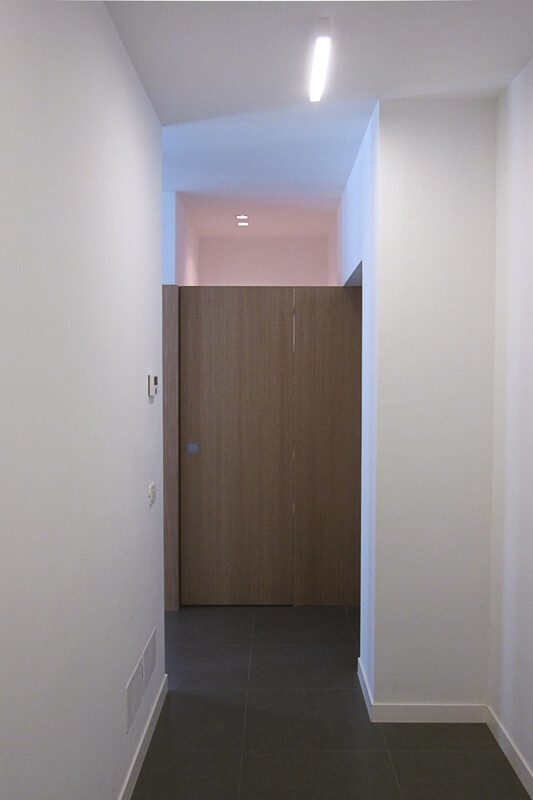 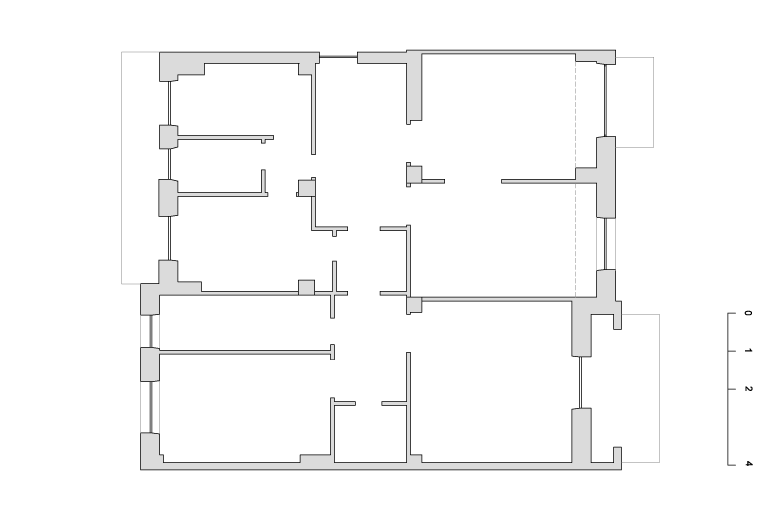 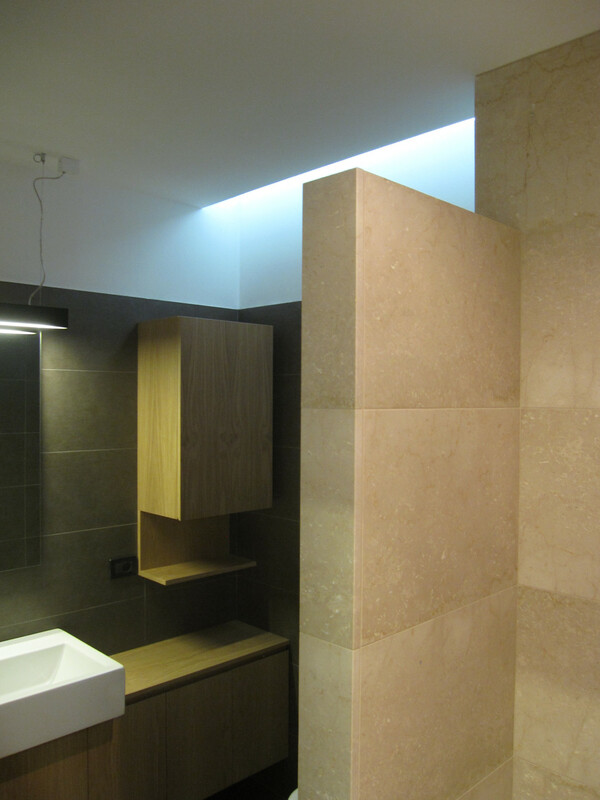 In order to optimize the space, the disengagement areas , the entrance and those areas that are not directly lit by windows, have been allocated to the toilet service spaces, the laundry, and an equipped route of cabinets made to measure. 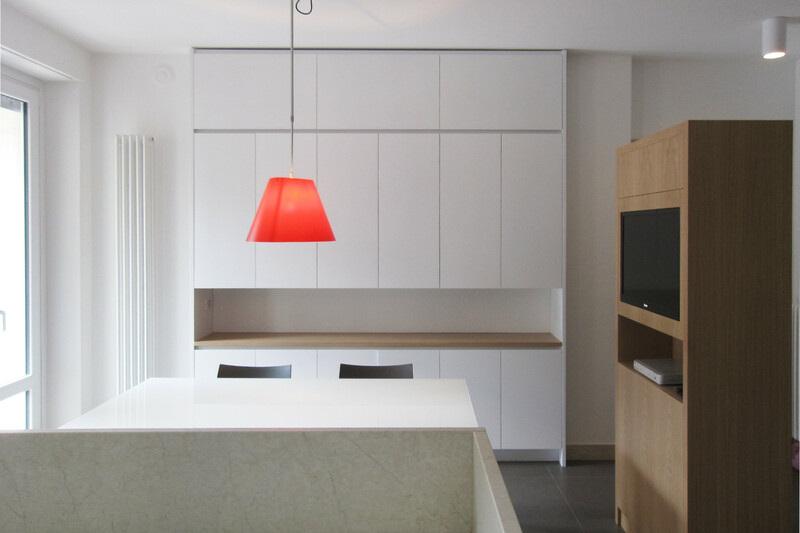 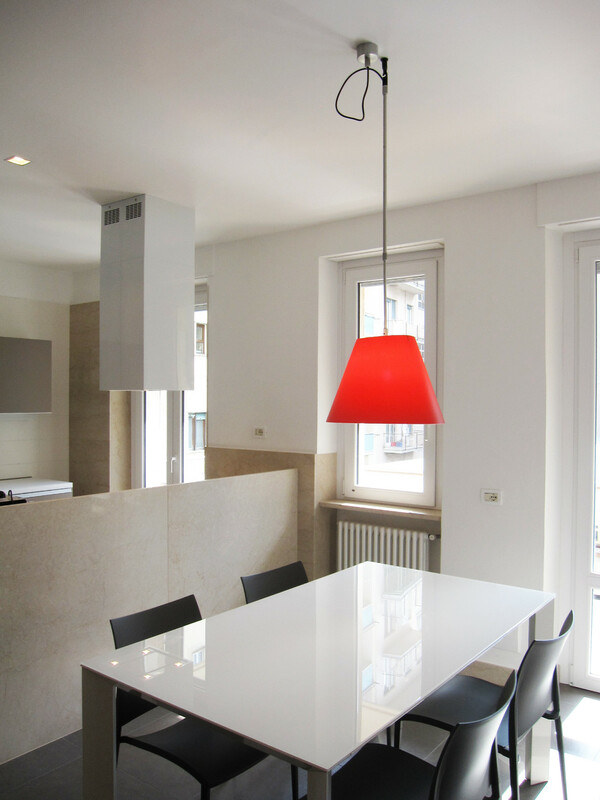 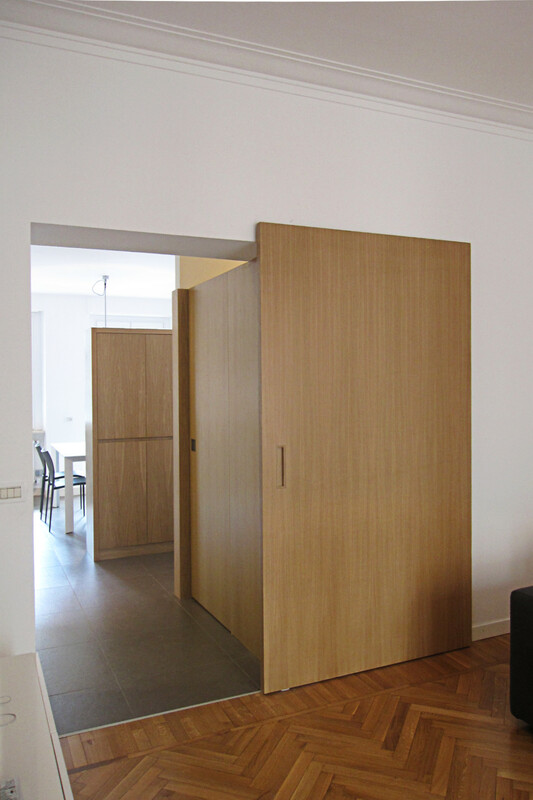 Crossing the threshold you enter in one kitchen-dining space visually and physically related with the living area. 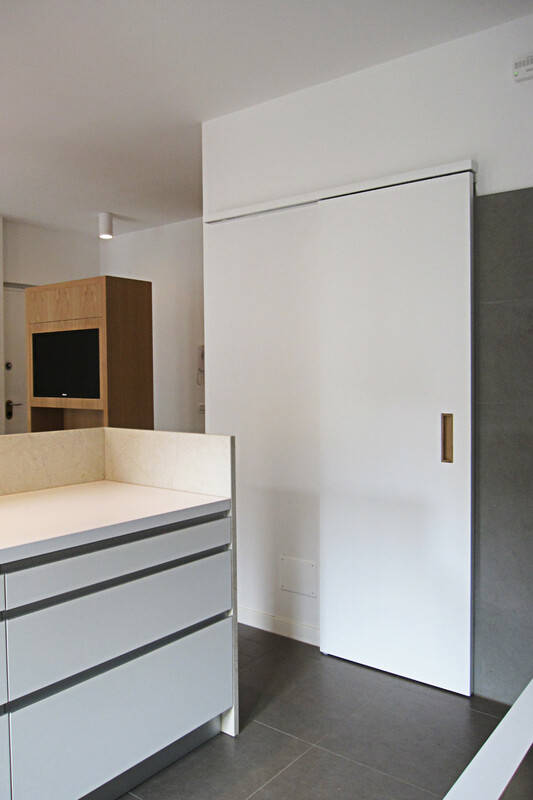 Some shrewdness have allowed us to shield the operative areas of the island of the kitchen that was coated with marble slabs of Botticino to configure an essential volume that hides and decorates at the same time.